Stay warm in the chilly climate with these cozy jackets. Here’s the understatement of the year: winter coats matter in Edmonton. We put a lot of faith in these sometimes-overlooked outfit staples to keep us warm and comfy commuting to and from work and socializing, all without putting our personal style at risk. Finding the perfect coat can sometimes feel like dating. But like dating, breaking down the process into some easy steps makes the whole thing less daunting. 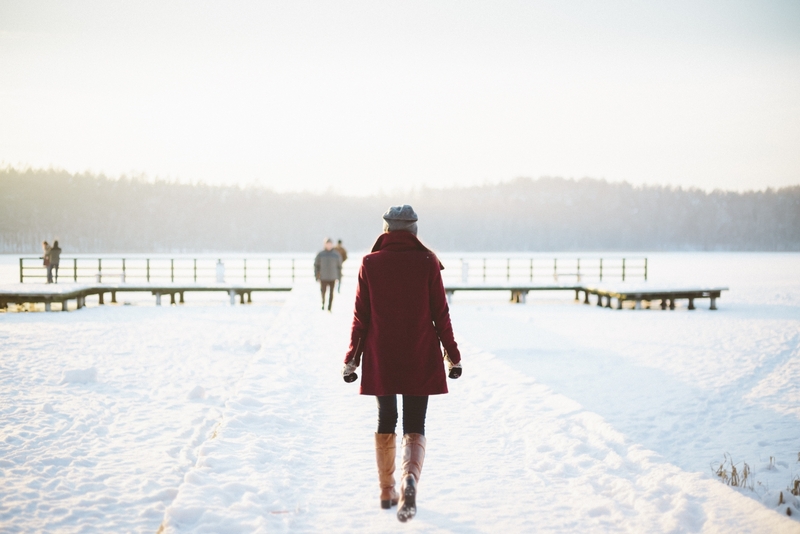 Look for these features when on the hunt for your next perfect winter coat. Get a game plan ready before starting your winter coat shopping journey. Think about where and when you’re going to be getting the most wear of your coat. Long parkas, for example, are perfect for public transit heroes – a knee-length design will protect you from riding to work with a snowy bus-bench bum. Pea coats or trenches are a great option for warmer days, and can easily transition from work to happy hour to nights out downtown. 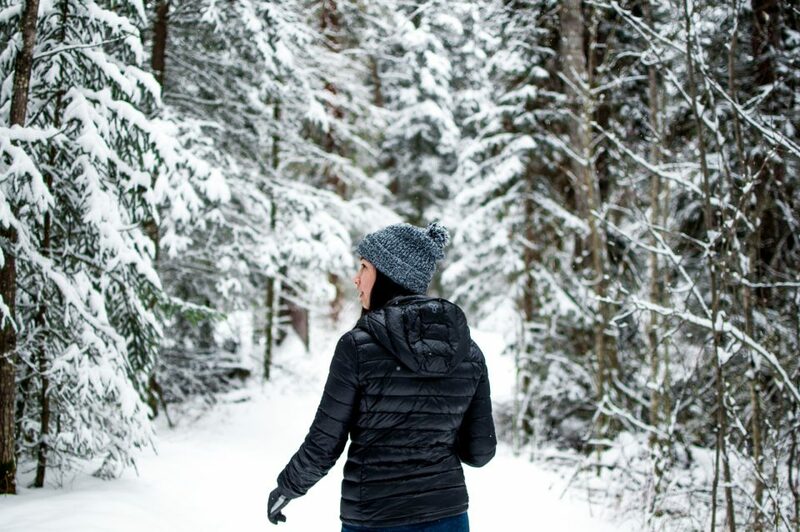 If you brave the cold to take part in outdoor activities, you’ll want a lighter-weight, higher-cut piece (like a soft shell or cropped puffer jacket) that allows your hips and legs to move freely. One of the major things that makes winter coat shopping daunting is the price tag. It’s all too easy to drop hundreds on a high-quality piece of outerwear. But it doesn’t have to be this way, especially when thrift stores like Value Village are peppered throughout the city. Whether name-brand labels or eclectic vintage finds are your vibe, they’ve got you covered. Even better: shopping at Value Village keeps perfectly fresh clothes out of landfills. It’s a win-win. A coat might look good in the mirror, but is it real life proof? Try on your coat in-store and see if you can comfortably raise your arms to give a handshake or hug. If you can’t move without feeling pinched or if excess material is bunching at your elbows, you should go a size up. And since most of us don’t have enough time to rush home for a wardrobe change, it’s essential to find a coat that leaves enough room to layer a sweater or two underneath. Pull some experimental layers from the rack to see what you can swing on underneath your new coat. A water-resistant shell is key if you’re going to be trudging through snow in your coat (and let’s be real: in a climate like ours, most of us will). Quality insulation is another must for Edmonton winters. Down is popular since it’s durable and super warm for its weight. It does, however, lose its effectiveness while damp, so take special care of it after washing or in heavy snow. Synthetic fabrics, such as polyester, don’t last quite as long and aren’t nearly as warm but are ideal for damper weather. Being prepared for the weather doesn’t mean you have to sacrifice style. Coats with longer, boxy shapes are everywhere right now and will keep you cozy to and from work. That millennial-pink fluffy coat on the other hand? Not so much. Don’t shy away from bold colours, though – a pop of yellow or red in a sea of neutral-toned outerwear is refreshing and on-trend. Accessories can take a basic coat from meh to next-level. Check your prospective coats for the bells and whistles that suit your needs. A (faux-) fur hood, for example, adds flair and warmth. An extra high neckline (known by the pros as a “storm flap”) will protect your face from blasts of cold dry wind. When thrifting, don’t forget to inspect the less flashy but highly important nuts and bolts like zippers, seams and buttons for signs of wear and tear. There’s nothing more satisfying than finding a winter coat that suits your style, right down to the stitching, at an amazing price. And considering how in Edmonton we wear our coats like a second skin, it’s worth the effort to find a jacket that will go the extra mile.